Notes: Kennels that have been modified or colored become custom kennels and are not returnable. 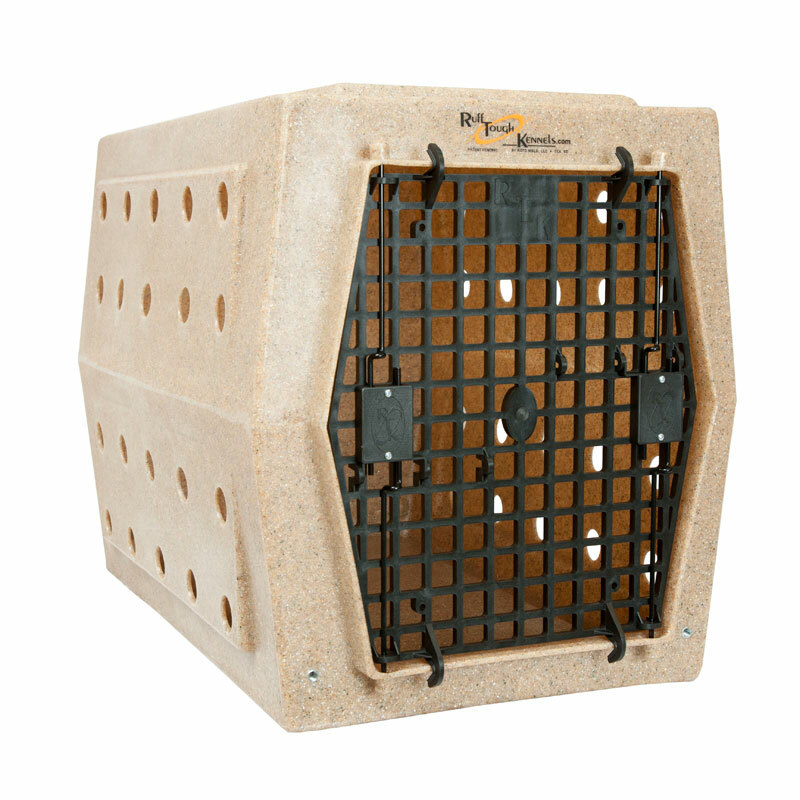 The Large Ruff Tough Kennel is a top seller at CarryMyDog.com. It has the features you expect in a high quality travel kennel. It is stackable and easy to maneuver with the two finger vent holes in the rear panel and top carry handles (purchased separately). 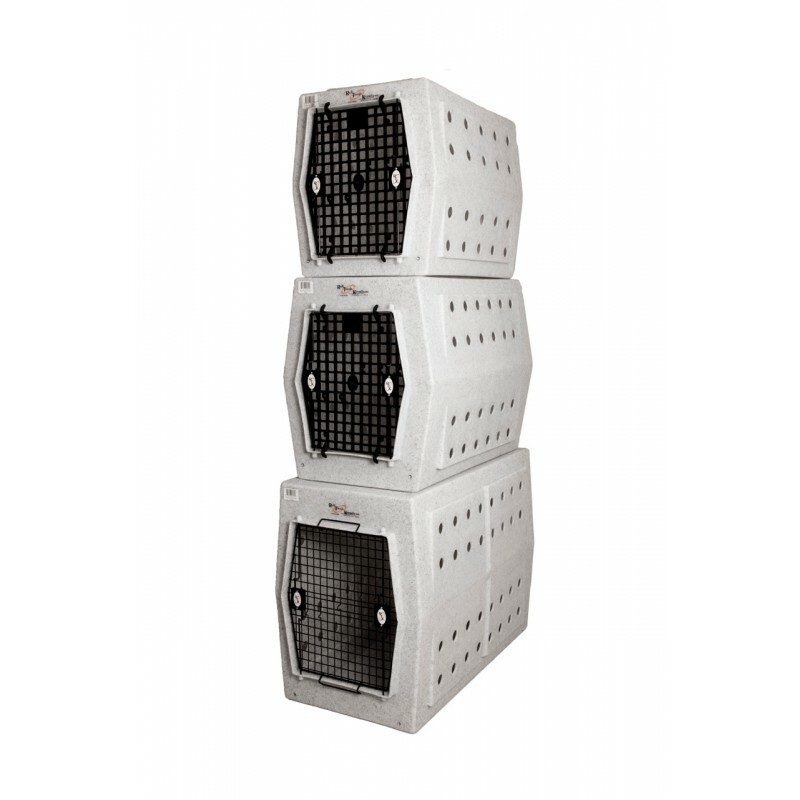 The Large Ruff Tough kennel is also available in the double door models in both left and right side entry doors. The Large dog kennel from Ruff Tough Kennels is all high-density one-piece construction. This makes for extra strength and easy cleanup. It also moves easily into and out of your vehicle. 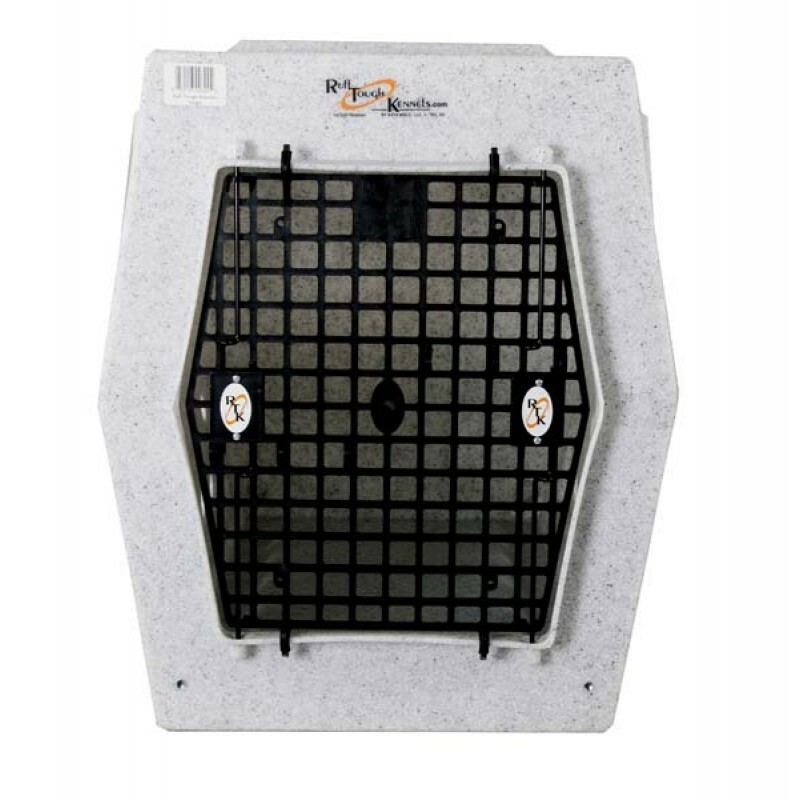 Don't forget to review the accessories available for your Large Ruff Tough kennel. We want you to know that while the Large Ruff Tough kennel is lightweight it is still approximately 30 Lbs. It is also oversize according to UPS and FedEx. 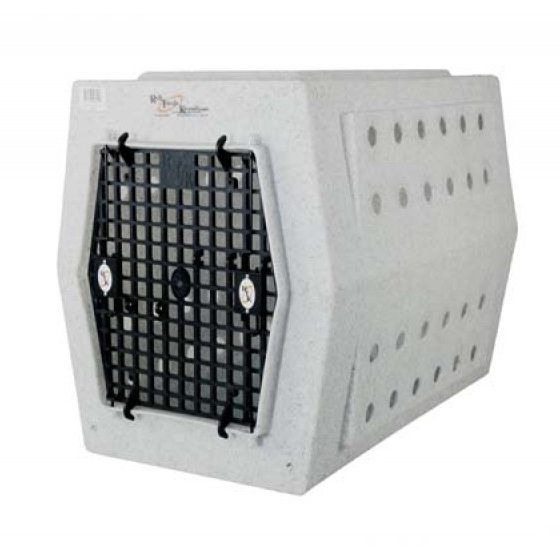 This means that, depending on your location, the shipping cost for this size kennel is $120 to $150. We pay over 1/2 of the shipping charge for you. The flat rate that comes up when you check out is not the total shipping charge. Please note that the shipping charge shows after you enter your "ship to" address. 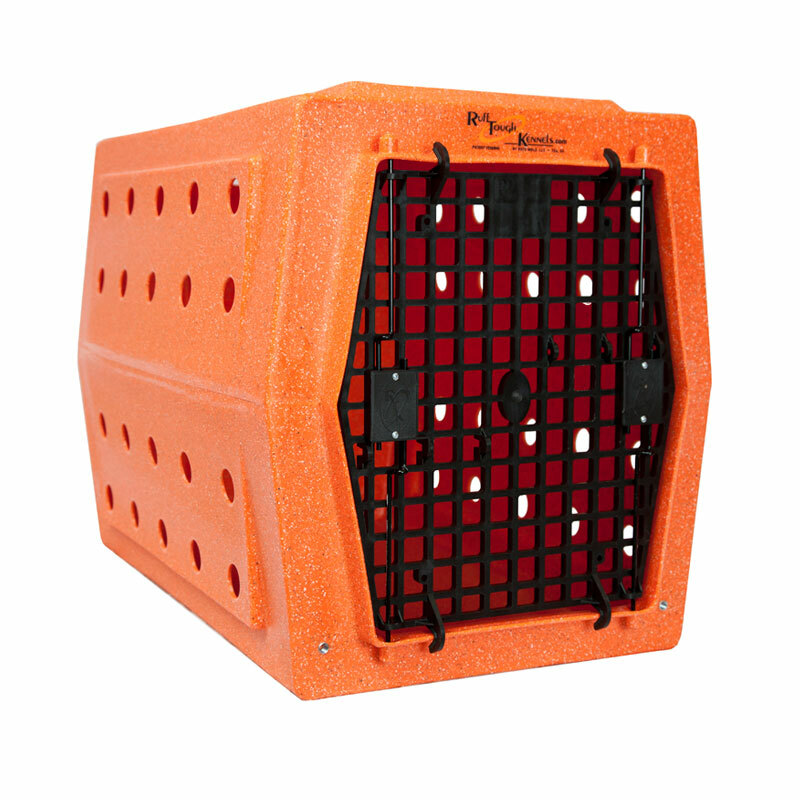 So order your Large Ruff Tough Kennel today!